Cozy cottage/craftsman style RANCH HOME in great location! You are quickly welcomed by a relaxing front porch. 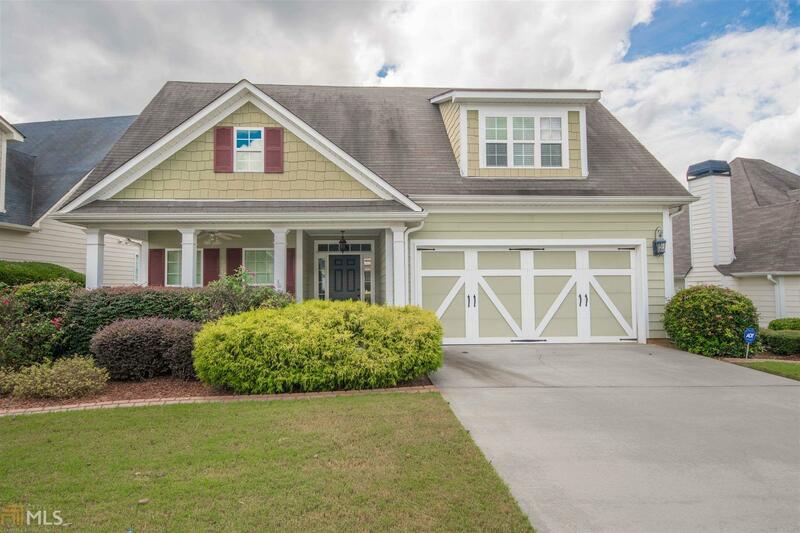 Enter into an expanded foyer that is open to the spacious great room with vaulted ceilings, beautiful kitchen with granite and stainless steel appliances and entertaining dining area with trey ceiling. OWNERS SUITE ON THE MAIN LEVEL features an amazing reading/office space. Secondary bedroom on the main with full bath. Hardwood floors throughout main level. Upstairs you will find a large guest/teen suite featuring a bedroom, full bath, large closet space and bonus room. Landscaping and fenced in backyard provides a beautiful private outdoor living space. Enjoy the convenience of golf cart rides to shopping, dining and Line Creek Nature Preserve! Directions: Take Hwy 74 South, Turn Right Onto Hwy 54, Turn Right Onto Macduff Pkwy, Take A Right Onto Evesham Ave, Turn Left Onto Turnbridge Cir, 237 Turnbridge Will Be On Your Right.